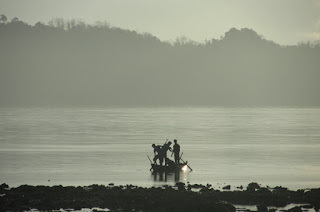 Andaman Adventures - The early bird catches the Sunrise ! Everything about the resort we stayed in at Havelock Island spoke of relaxation and chilling out. The resort was very green and very peaceful. The only sound was the gentle murmurings of the sea interspersed by the occasional canon like thud of the coconuts falling from the trees. The cottages were right next to the sea with hammocks and beach chairs strewn about. This is what the view from the chair looked like. 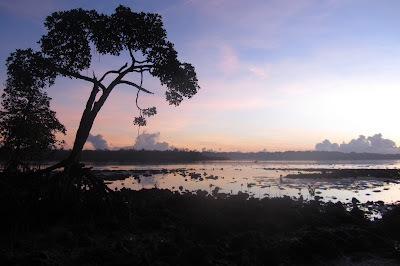 The sun rises very early in tropical areas and at Havelock the day used to break as early as 4.45 am. Even through well drawn curtains, it was impossible to keep the sun out. I am not sure I wanted to ! I used to get up with the first streak of sunlight and make my way to the beach to see the sun come up. It was very quiet at that time in the morning.The only sound was that of the sea and the early morning wind whispering through the trees. It was just me and the sea and the trees and the sun rising over the horizon. It was indescribably beautiful and incredibly peaceful. I clicked a few pics while sitting at the beach ..
And then there it turned golden with a tinge of pink and red at the edges. It looked beautiful, as if the gods above were in a playful mood and had decided to strew some colors on a palette. Then the sun peeped out, fiery and golden .. as if giving us an indication of the hot day that lay ahead, in spite of the clouds. Finally it hung in the sky, like a great orb of fire ! to catch our Dinner ! Wow! What more can I say. Amazing pics. Thank you so much Rachna ! your writing is refreshing. Please keep writing. I am a first time visitor here but found it interesting. One of my dream destinations! May be some day it will happen. Lovely pics! Thank you. I hope you get to visit it soon ! Thank you Tarang and welcome here ! Pictures tell quite many things silently ! The posting is very much soothing delightful ! Hope I make it some day !! I hope yo get to go too ! The perfect cottage at the perfect place. I loved the sunrise pics too ! Lucky lucky you. Love your travelogues. Beautiful pictures!!! Have to go there too. You must revisit the place ! Such a lovely place. The pictures capture the beauty, the calmness and serenity! It was very calm and very serene ! Wow! Your pictures capture the essence of the place. God truly is a great artist! Yes God is a great artist ! Wow each of the pics looks like a wall paper in its own... such beauty!! Pretty settings. But I feel that your words painted a prettier picture! Sounds like an awfully great choice for a holiday. Beautiful pictures. Especially the ones of the sunrise. 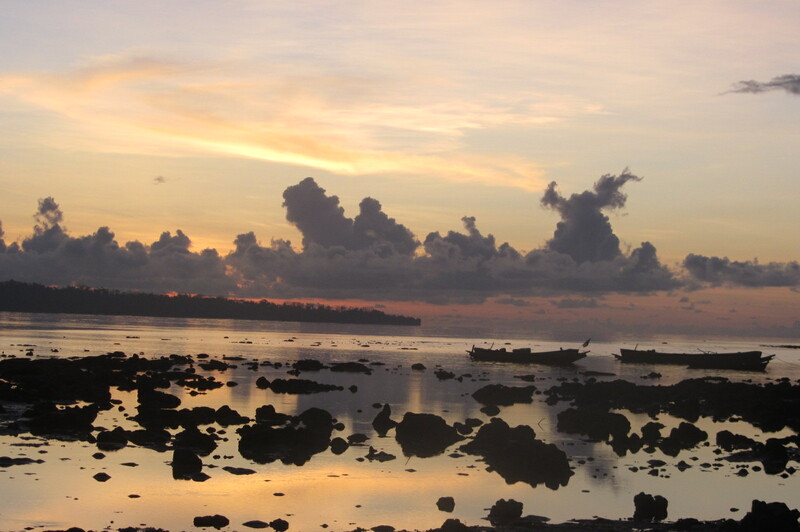 This is Sea-Shells Resort on Havelock Islands and its just wonderful. wish to go once again. 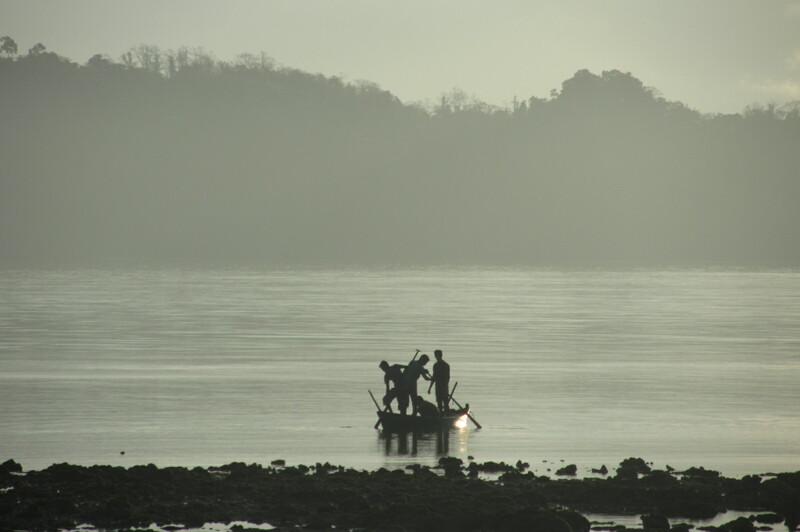 How beautifully you've captured the beauty of the Andaman Islands. Once again, the simplicity of the words wins me over. 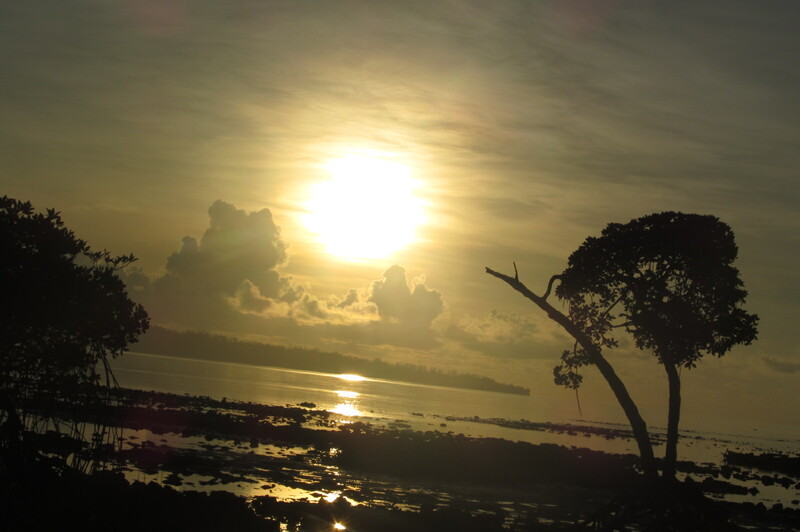 Andaman is definitely in my bucket list, and havelock is beautiful. Captivating pictures... what a peaceful and rejuvenating trip it would have been!